You know that wearing a life vest is in the best interest of you and your passengers when it comes to boating safety. Do you know if you have fitted your life vest properly? While you certainly can’t outfit every passenger on your boat with the best vest for their frame, you can make sure that you and your family have vests that fit correctly. Take these steps to ensure that the vests you purchase will do their jobs. There are a variety of personal flotation devices on the market, and each is designed with a particular set of activities in mind. Read the tag attached to the device to be sure that it is was designed with your planned activity in mind. If you will be boating or riding a jet ski, a vest is typically your best option. The first step in choosing a vest is to pick one designed for either an adult or child, depending on its intended wearer. You can find this information on the tag or label. Also on the label you will find information for the intended wearer’s height and weight. Find a suitable vest and try it on. Once you have put the vest on, make sure you connect the straps in the right way. For adults, this typically includes a chest strap and one that sits at the waist. For children, there may be an added strap that is placed between the legs and fastened in either the front or back. This strap adds extra stability for the child. You tried the vest on, and you secured the straps correctly. Now it’s time to test it. Hold your arms straight above your head. Use your left hand to gently pull at the right shoulder opening, and then use your right hand to gently pull up at the left shoulder opening. If the jacket comes up over your chin or face, it is too big. Continue testing jackets in this manner until you find one that will not ride up. You can test a child’s life jacket the same way. Should you choose any other type of personal flotation device, be sure to read its label and fit it properly when indicated. Wearing the wrong size device, especially one that is too large, will do nothing to save you in an emergency. If you have been injured in a boating accident, our compassionate attorneys are here for you. Contact our offices today so that we can review your case. First consultations are always free. Call now. If you live near a major North Carolina suburb, you may find yourself sharing the city streets with golf carts. These four-wheeled vehicles are street-legal in many larger cities and even in some smaller towns. While it is always recommended that anyone operating a golf cart mind the rules of the road and remain vigilant, it is just as important that you drive your car appropriately. Here are some tips for any vehicle driver who shares the road with golf carts. Don’t forget that a golf cart cannot go as fast as your vehicle. Golf carts are typically only permitted on streets with speed limits of 35 mph and lower because of their inability to travel at higher speeds. Do not ride the tail end of a golf cart if you are in a hurry. There is nothing that you will do to make the cart go faster and you may just cause an accident. Golf carts can be more difficult to hear than typical vehicles. Your music should never be so loud that you can’t hear what is going on outside of your car. Keep the music turned down to a reasonable level, especially when you are driving through downtown. It’s never a good idea to speed, but it is even more important to stick to the speed limit when you are driving next to and around golf carts. If you need to be somewhere and are in a hurry, leave a bit earlier so you do not feel as though you are in a rush. Don’t rely on your mirrors. Golf carts are small and can easily fit in your blind spot. Look over your shoulders when changing lanes or passing other cars. Look to the sides of your vehicle to make sure a golf cart isn’t riding next to you. Be sure to signal to other drivers what you intend to do. Turning in front of another car can easily cause an accident if they didn’t know you were turning. Turning in front of a golf cart can result in serious injury or death. Use your signals as they were meant to be used. If you have been injured in a golf cart accident, our attorneys are here to assist you. Contact our offices today for a free initial consultation. We are here to help you get your life back on track. A father has been placed under arrest for drunken driving after he crashed into a house in Tipp City on Friday while his three children were in the car with him. According to police, at approximately 10:40 p.m., Bryan Smith, 34, was in the process of making a turn with his vehicle when he went off the road and crashed into a home. At the time of the accident, Smith’s children, aged 4, 5 and 7, were also inside the car with their father but were not injured. The two younger children were in car seats while the eldest child was wearing a seat belt. Police placed Smith under arrest and charged him with operating a vehicle while intoxicated, child endangering, and failure to control his vehicle. The occupants of the home were inside the house at the time of the crash; however, no injuries were reported. The crash caused extensive damage to the structure. Drinking and driving is always a bad idea, and getting behind the wheel after drinking with children in a car is even worse. A person should never be tempted to take a risk with nor only their life, but the lives of others. The occupants of this home were extremely lucky. While accidents often happen in the home, no one would think of their home being the scene involving a drunk driver. If your home or property has been damaged in an accident, or you or a loved one has been hurt or injured in an accident involving a drunk driver, give the offices of Auger & Auger a call. We have years of experience helping our clients get compensation for damages and injuries suffered in an accident. At Auger & Auger, we can also help you sort through the seemingly endless amount of paperwork from insurance; medical and other involve companies as well. Call today. Your initial consultation with us is confidential and without cost or obligation to you. We are here to help. Contact us today. When boats collide, it makes the news. For some reason, people think that boating accidents are a rare occurrence when, in reality, they are more common that you may believe. When it comes to these accidents, there are 10 common reasons that they occur. As a boater, whether a driver or passenger, knowing these causes can make your trip a safer one. Keep an eye on the gas tank. Before you leave shore or the dock, calculate how much fuel you will need to get to your destination, stop and return. Add 20 percent to that total just to be on the safe side. Running aground happens more often than you may think. Most of the time, it’s embarrassing; sometimes it’s much more. Running aground isn’t what will get you…it’s the sudden stop that comes with it. Falling overboard is another situation that will have you red in the face. In some instances, however, falling out of the boat can be deadly. If anyone falls from your boat, stop the vessel. Many times, it’s being caught in the wake that is the most dangerous for the person in the water. A hole in the hull is one of the major reasons a boat takes on water. Be sure to keep wooden bungs aboard so you can plug any holes you find. Without these, you could very well watch your boat sink to the bottom of the lake. Fire is a fairly rare occurrence these days because safety equipment is much more advanced. No matter how rare, it is still important to be prepared for a fire. Keep extinguishers on board and keep them charged. The U.S. Coast Guard reports that many accidents occur due to mechanical failure. Keep an eye on your instrument panel and get any necessary repairs as soon as possible. To not do so could very well have you stranded. It can be tempting to speed over the water with the wind whipping through your hair. Don’t. Speeding in a boat is as dangerous as speeding in a car. You simply cannot control your vessel as well at extreme speeds. If you have been injured in a boating accident, please contact our offices as soon as possible. We are here for you and will work to get you the compensation you deserve. Call now. Jet skis are exciting and time spent on the open water is a fantastic way to waste a beautiful day away. Unfortunately, fun and excitement turned to fear and tragedy for three siblings on Lake Norman. Two jet skis crashed into one another on the lake Wednesday afternoon. A jet ski carrying only its driver crashed into a second jet ski being ridden by a driver and a passenger. The passenger on the second jet ski suffered injuries to his back and leg. The three people involved in the crash are siblings. Neighbors close to the lake heard the crash and the siblings screaming and called emergency services. The injured 18-year-old passenger was brought to shore by the driver of the opposite jet ski, also 18. Paramedics rushed the injured teen to Carolinas Medical Center. The male teenager suffered a broken pelvis, a broken femur, and injuries to his back. North Carolina Wildlife Officer Scott Strickland said the boy should not have permanent damage to any part of his body. Strickland added that the injured male is lucky as the accident could have been fatal. The jet skis crashed into one another around 6 p.m. according to first responders from Troutman Fire Department. Each person involved was wearing a life vest and it is known that no alcohol was involved in the collision. Life vests are required by law in North Carolina for all jet ski and boat passengers. One jet ski-rental facility in Lake Norman goes so far as to send all customers a safety video and checklist prior to renting a jet ski. Information includes how to find safety equipment and how to operate the jet ski properly. Alex Bobyarchick, of Lake Norman Jet Ski Rentals, says that the most important jet ski safety tips is to always wear a life vest, drive as slowly as possible, and abide by the 150-foot wake law. The same goes for boaters. If you have been injured on the water, you need an attorney you can trust. We are here for you and your family. Contact our offices as soon as possible for your free initial consultation. We will work hard to get you any compensation that you are entitled to by law. While those living in Charlotte may be aware of this fantastic service, visitors may be unaware of the transportation option our city offers. Cruse Carts is a 100% free way to get around the city. Whether you are visiting Charlotte for the first time or simply want an easier way to shop downtown, Cruise Carts is a convenient way to get around. The carts are free, fun, and eco-friendly. Sponsors pay for the vehicles so that riders don’t have to. Dustin Adams, founder of the company, offers four-passenger golf carts in four neighborhoods – NoDa, South End, uptown, and Plaza Midwood. Carts are only permitted on streets with speed limits of 35mph and under. Riders can feel safe knowing that drivers understand how to maneuver about the streets with typical vehicles. Each cart is equipped with headlights, tail lights, turn signals, seat belts, and windshield wipers. They even have seat belts to make sure riders are strapped in safely. In fact, the golf carts come decked out with most of the same safety features as cars. Uber and Lyft drivers, as well as cab operators, were initially worried that the service would take away from their business. Not so, says Adams. The service is not meant to replace typical transportation because they cannot travel the same distance as those vehicles. According to Adams, the carts fill a very specific niche. Although the carts are not altogether out of competition with more traditional modes of transportation, they do fill a service that those other modes do not. Riders do not reserve a cart, instead, they simply flag down an empty cart and hop aboard. Cruise Carts are available every day of the week but Monday and Tuesday. Carts run during the evening in the week, and in both afternoon and evening on the weekends. Keep in mind that even though the carts are equipped with safety features, it is your responsibility as a rider to make good choices. Buckle your seat belt, stay in your seat, and keep your limbs in the cart at all times. If, at any time, you feel that your driver is not operating the cart in a safe way, be sure to speak up. If you have been injured in a golf cart accident, contact our offices immediately. Our compassionate attorneys are here for you and your family. Call now. An accident has claimed the life of a three year old boy in West Charlotte early Sunday. According to Charlotte-Mecklenburg police, Chantee Boyd, 26, was driving with her two sons on Billy Graham Parkway toward Morris Field Drive when she lost control of her 1996 Honda Accord when it veered off of the left side of the road and into the median. Boyd’s vehicle entered into a counterclockwise spin, slammed into a guardrail on the median and then continued into the northbound lanes of the parkway. Investigators say that the rear end of Boyd’s vehicle struck a Lincoln Continental that was being driven by William Dublin head on. Boyd’s car ended up on the right shoulder of the northbound lanes. Boyd’s 3-year-old son died at the scene of the accident while her 7-year-old son was transported to Carolinas Medical Center-Main. The 7-year-old is currently listed with serious injuries. Both Boyd and Dublin were also transported to Carolinas Medical Center-Main with minor injuries. Police say that both alcohol and speed played a role in the fatal crash. After being treated for her injuries, Boyd was arrested. She is currently facing charges of felony death by vehicle, felony serious injury, and two counts of felony child abuse, reckless driving and driving while impaired. Boyd is currently being held on a $500,000 bond. No amount of money can ever replace a loved one who has been tragically lost in an accident. At Auger & Auger, we are here to help you in any possible way after your accident. We are knowledgeable in personal injury and accident cases. We are here to help. . 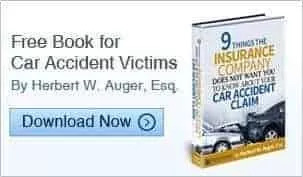 If you or a loved one has been seriously injured or tragically lost through the irresponsible actions of another person, give the offices of Auger & Auger a call for your free consultation. As more boaters head onto the water, there is greater potential for accident and injury. Think of crowded waters like you would think of crowded streets. Just like in your car, there are safety measures to be taken when you decide to go boating. It’s equally as important to remember that it can often take emergency services longer to respond on the water than on the road. There were 130 recorded boating accidents in the state last year. Of those incidents, 23 proved fatal, according to the North Carolina Wildlife Resources Commission. Here are some things you can do before and during your time on the water to help ensure your safety. In North Carolina, you are required to take a certification course through the National Association of State Boating Law Administrators. This is true only if you will be operating a motor of 10 or more horse power. You can learn more at the free courses offered at the North Carolina Wildlife Resources Commission. Before you go out on the water, put together a float plan. This plan should include information about where you are headed, how many times and where you will be stopping, and when you will be returning. Give this float plan to a friend or family member who will be staying behind. In the case of an accident or other incident, the plan will help authorities come up with a search and rescue plan. It is required by law to keep enough life vests on your boat so that each passenger has one to put on. Any person on your vessel who is under 12 needs to have a life vest on at all times. Even though there is no law that dictates that adults wear vests, it is the safest move you can make. The majority of drowning cases occurred because people did not have time to put their vests on. Make sure that your boat has at least one fire extinguisher aboard. Also make sure that you have an on-board radio and, if you are carrying a cell phone, an extra battery. Before you leave shore, check the weather conditions for the day as well as wave heights so you know what to expect. At the end of the day, you are responsible not only for yourself but for your passengers as well. Stay sober if you will be driving the boat, and follow the tips above. Many boating accidents can be prevented if you stay mindful. If you have been injured in a boating accident, contact our offices today. Our experienced attorneys are here to help you get the compensation you deserve. Call now. There is little doubt that riding a boat on the open water can be thrilling, but the feeling of riding a jet ski cannot be beat. Ask any rider, and they will tell you that jet skis provide an exciting way to spend an afternoon with friends and family. No matter how much fun you can have on them, jet skis are not without their dangers. Here are some practical tips to help you enjoy your day safely. It may not be cool, and you may not feel altogether stylish, but a life jacket can literally mean the difference between going home and never seeing another day. Forget the silly tan lines and don’t worry about looking uncool. You and any passenger on your jet ski should be wearing a properly-fitting life jacket at all times. Of course it is tempting to open the throttle and jump waves. There is nothing as exhilarating as feeling the wind whipping through your hair as the sea water sprays your face. Take a moment to read the operator’s manual and learn about your ski’s safety features. Many jet skis come equipped with a kill cord that is worn around the wrist. When worn, the cord will kill the engine if you fall off. This prevents your ski from careening out of control and causing injury to others. It is natural to take more risks as you get more comfortable on your machine. Do not get complacent. Stay alert at all times and pay attention to the way you are controlling your ski. Never get so caught up in the moment of your ride that you forget to keep your eyes open for swimmers, boaters, skiers, and divers. This one is a no-brainer. Don’t drive your jet ski if you have been drinking, and make sure your passengers are not intoxicated. Your jet ski is a powerful piece of machinery so don’t get cocky. Don’t jump waves or perform any other risky moves. You could hurt yourself, injure your passenger, and total your jet ski. Operating a jet ski is a responsibility, not a right. Keep that in mind the next time you turn the engine over. Keep your wits about you and stay safe. If you have been injured in a jet-ski accident, we are here to help you. Contact our experienced personal injury attorneys today. We will review the details of our case and advise you as to your best course of action. Distracted driving, or texting while behind the wheel, is exceedingly dangerous. It only takes a few seconds of inattention for an accident can occur. That is exactly what happened when Jessica Sowell was arrested. She is currently facing the charges of misdemeanor death by vehicle, texting while driving, trafficking heroin as well as other related charges. Investigators say that Sowell’s Nissan Altima crossed the center lane on Mount Holly Road and hit Casey Townsend’s GMC Yukon in a head-on collision just after 12:00 a.m.
Townsend was declared dead at the scene of the crash. Sowell did admit to police officers that she had been using her cellphone at the time of the accident. Neither alcohol nor speed played a factor in the fatal crash. The statistics are clear. According to a recent study, those drivers who use their cellphones or smart phones to text while they are driving are 23 times more likely to be involved in a collision than those drivers who do not text and drive. Texting behind the wheel is even more dangerous than those who drive under the influence of alcohol. At 55 miles per hour, it takes less than five seconds for a vehicle to ravel the length equal to that of a football field. If someone has their eyes off the road for that distance, it’s a situation that can prove to be deadly. When a driver has been texting and driving gets into an accident, it is very easy to prove by obtaining records from the driver’s cellphone or wireless provider. If a person is found guilty of texting and driving, penalties can be as high as for those convicted of driving under the influence of alcohol. There is often jail or prison time, high fines and civil damages to compensate victims and their families. If you or someone you love has been injured or has tragically lost their life in an accident involving texting while driving, give the offices of Auger and Auger a call. Having solid legal counsel on your side to represent you is important.